Helen Hai is the CEO of the Made in Africa Initiative and adviser to the governments of Ethiopia, Rwanda, and Senegal for investment promotion and industrialization. She is a senior adviser on South-South cooperation for the International Finance Corporation (IFC) and works closely with the UK’s Department for International Development (DFID), the World Bank, the Gates Foundation, the Tony Blair African Governance Initiative and other multilateral players involved in development issues in Africa. Hai is an experienced business executive and an expert in the field of development. For over two years, she worked in Ethiopia where she served as the Vice President and General Manager for overseas investment for the Huajian Company, one of China’s biggest shoe makers. The shoe factory she established in the capital, Addis Ababa, started production in January 2012 and, within two years, employed 3,500 workers. She recently supported Rwanda to set up the first garment factory for export which created hundreds of jobs in a few months time. She launched the Made in Africa Initiative with the aim of assisting African countries to capture the opportunity of inclusive and sustainable industrial development. As UNIDO’s Goodwill Ambassador, HAI Helen is focusing on Africa’s industrialization. 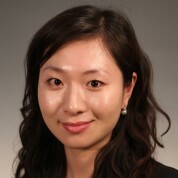 Hai was trained as an actuary in the United Kingdom and with 15 years international experience in FTSE100 companies, previously served as Vice President and Chief Actuary for Zurich Financial Services in China, and Partner in Jardine Lloyd Thompton Group in London. She has BA in actuarial science and MSc in actuarial management from City University in London and EMBA from INSEAD and Tsinghua University. She is elected as one of the 2015 Global Young Leader by World Economic Forum.